A poem by Christina Rossetti (1830-1894). It was handwritten (from memory) by my father, Ronnie, and marked "Epitaph". He passed away on 17th September 2015. 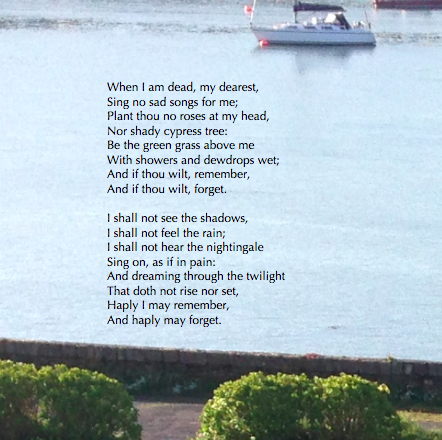 The poem is printed here on an image of the view from his beloved Currabinny where he would sit looking out to sea.